Loyal. Beautiful. Professional. Impeccably organized. Potentially lethal. Sarah Stevens is a woman with many distinct qualities. First and foremost a butler par excellence, skilled at running large households smoothly and efficiently, she is also a trained bodyguard and expert marksman–indispensable to her elderly employer, a courtly gentleman whom Sarah has come to respect and love as a father.Then one night she thwarts a burglary in progress, a courageous act that rewards Sarah her requisite “fifteen minutes of fame” with the local press. But the exposure is enough to catch the attention of a tortured soul who, unbeknownst to Sarah, will stop at nothing to have her for himself.Sarah’s perfectly ordered life is shattered when tragedy strikes: her beloved employer is brutally murdered. The detective investigating the case, assures Sarah that she is not a suspect. Until lightning strikes twice. There’s a second killing–and this time, despite a lack of evidence connecting her to the crime, Sarah cannot escape the shadow of guilt.The only option left for Sarah is to carry on with her life. But she doesn’t realize that a deranged stalker is luring her into an elaborate trap . . . one in which she, once ensnared, might never escape. For Sarah soon finds herself at the mercy of a man who will tend to her every whim, smother her with affection, and crush her in his all-consuming embrace.In a nonstop roller-coaster ride of unrelenting suspense, Linda Howard has written her most chilling novel yet. 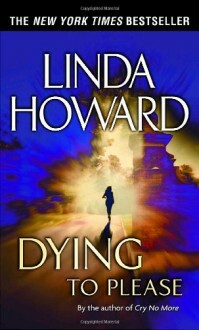 Dying to Please is a breathless thriller of desire and obsession.From the Hardcover edition.